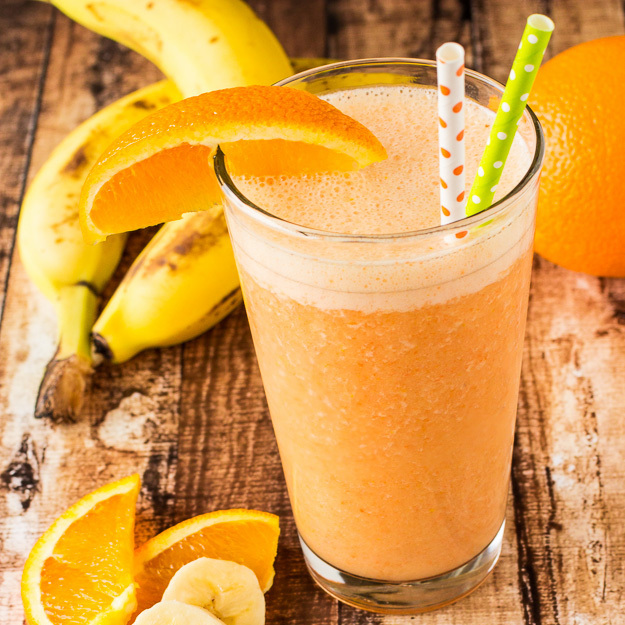 Orange and banana are the perfect marriage of tart and creamy for this breakfast smoothie. A touch of brown sugar and almond extract add another level of flavor. 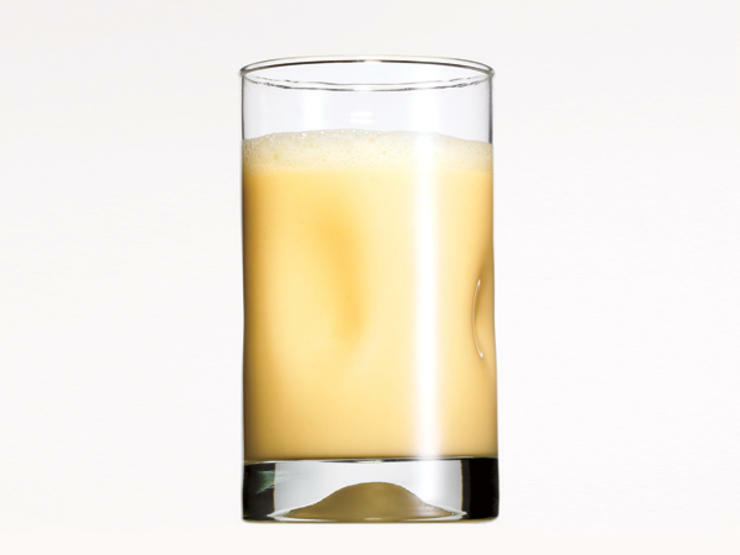 In blender, combine orange juice, banana, sugar and almond extract. Add ice cubes and blend until thick and smooth. Garnish with mint sprig. 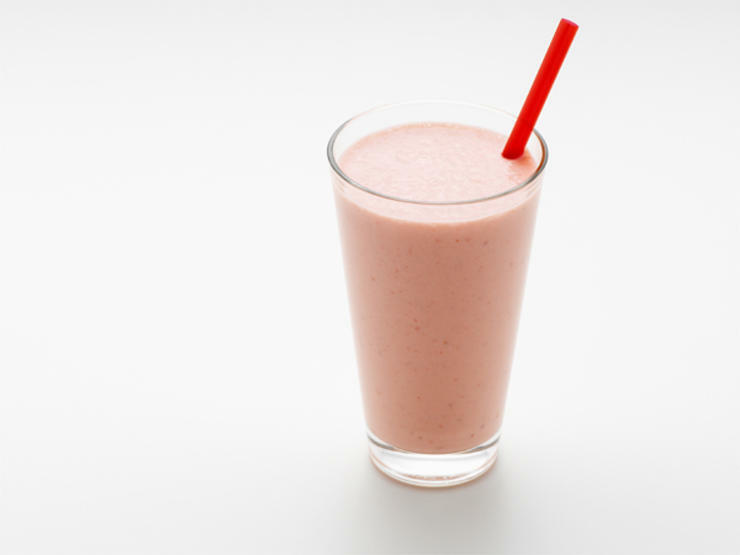 Slurp down this smoothie recipe at breakfast, and you'll feel satisfied until lunchtime. 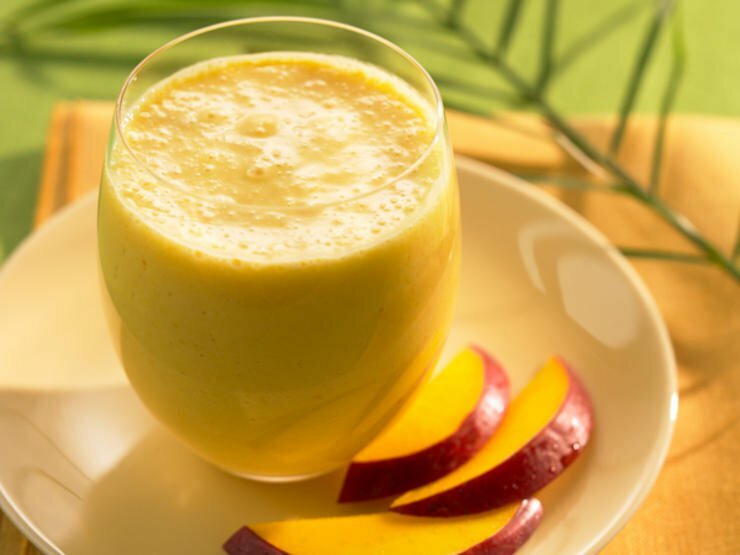 This decadently thick smoothie recipe can even satisfy your desire for ice cream and it's healthy! 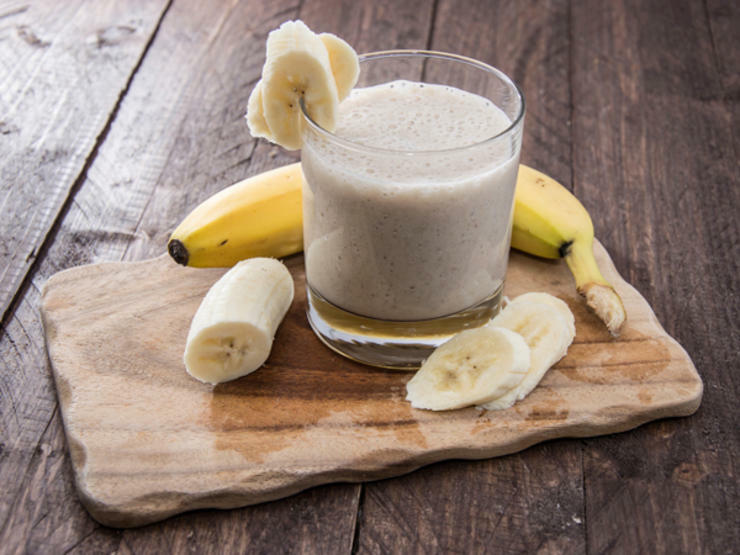 Thick like a milkshake, this coconut-infused smoothie recipe transports you to a tropical island. NUTRITION (per serving) 299 cals, 1.5 g fat, 0.1 g sat fat, 149 mg sodium, 64 g carbs, 44 g sugars, 7 g fiber, 13 g protein. 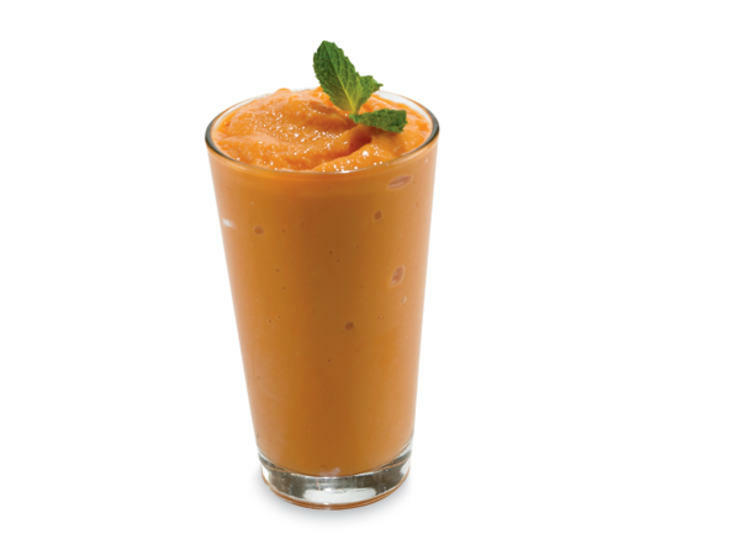 This smoothie is on the sweeter side, but still packs in antioxidant-rich carrots and hydrating, mineral-rich coconut water. Feel free to sub in another berry type, or to play around with the strawberry-mango ratio. 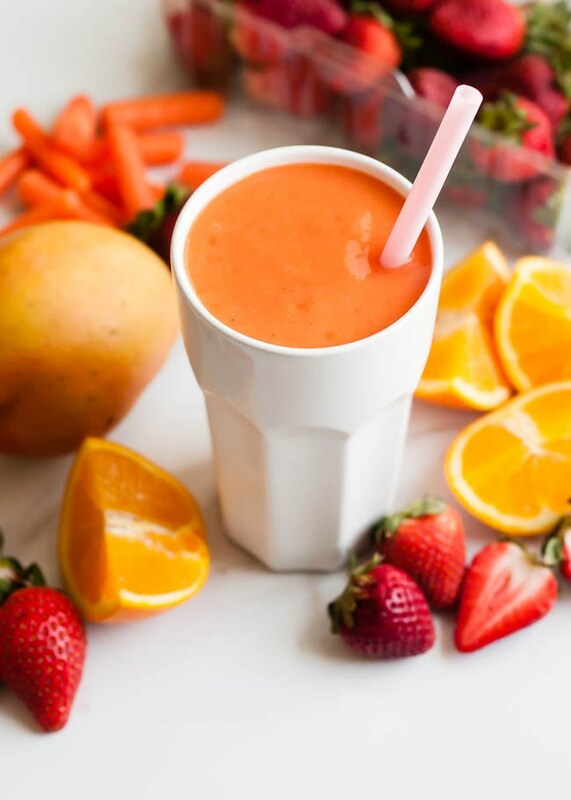 You can use fresh fruit, however using frozen adds thickness and cools it down without having to add ice.